Texas Pete has five ingredients.. two are chemicals. Vinegar, Aged peppers, water , Xanthan gum and benzoate of Soda.. Water?? WTF?? Crystal Hot Sauce has three ingredients - Aged Cayenne Peppers, Vinegar, and salt. I will stand by my original comment. FYI, the ingredient listed first is the largest portion of the mixture.. Put 4 habaneros in a blender and cover with ACV. Chop Hell out the peppers. Crush 2 cloves of garlic and toss them and a can and a half of tomato paste (the small ones) in the blender, cover with ACV and blend some more. 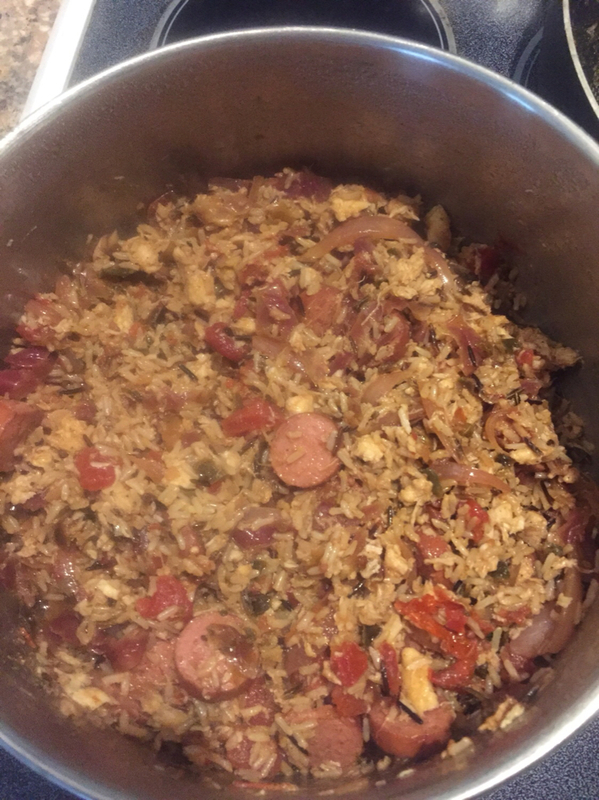 Add a tablespoon of conriko creole seasoning and top off to 1 qt with ACV. Chop Hell outta all that in the blender then poor in jars. Just my preference. I think it’s over salted and the casing can be tough as nails. Hell I’d eat it, but I’d know. Anything’s good with Crystal on it. Greasy rice. My God I havent had any of that since my great grandma passed away in 2012. There are plenty hotter, milder, fanboyer, etc. I'm cooking one Tuesday and was toying around with using saffron rice. The next time I make a small one I think I'll try some Anson Mills Carolina Gold and see how that goes. Last edited by wskinner; 09-23-2018 at 04:48 PM. Heat set to high and lid going on. As soon as this starts rolling, I'll stir it really well one last time, put the lid back on, and turn the heat off. The rice is gonna be perfect. Last edited by Fish; 09-23-2018 at 07:13 PM.